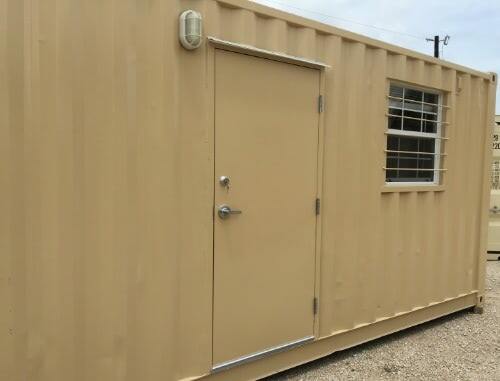 The 40-foot workplace shipping container has two private work spaces at each end and a larger central area ideal for a conference room. Get three distinct spaces in one ground level office. Efficient layout with large work space separating to private offices. Support for up to four workstations in a comfortable work environment with climate control and office-grade finish out. 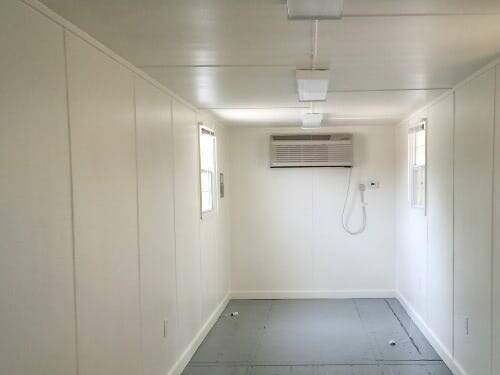 Includes steel personnel door, four windows, plywood walls, insulation, three HVAC units, overhead lighting, and 320 square-feet of work space.